5,529 FAA Section 333 Exemption were updated (36 pages of docket numbers) with a blanket exemption amendment. This is great news as it provides many exemptions with new capabilities which were not possible before. The FAA has slowly been updating things such as when they updated the blanket COA and when they changed the format of the “stock 333” around 3/7/2016. Note: this update is only for those listed on those 36 pages who already had an exemption granted. If your petition for exemption was never granted, this does NOT apply to you. This is only for those who obtained an exemption. Also, make sure you sign up for the newsletter below. I’m rewarding my newsletter subscribers with important information first before I publish things on social media. Don’t want to read? Listen or watch the video while you are doing something! Many can now register via Part 48 or Part 47. Some of the older 333’s were ONLY Part 47. This is great as the Part 47 registration method is a pain to do. Please remember that the Part 48 registration database is being challenged in the D.C. Circuit Court of Appeals by John Taylor. I’m helping him with the case and I think there are good reasons why the regulations were illegal and should be thrown out. See my article explaining why the regulations were illegally created. If John Taylor is successful, the registration database will be thrown out. Taylor was sucessful in that lawsuit; however, on December 12, 2017, the National Defense Authorization Act of 2017 was passed saying, “(d) Restoration Of Rules For Registration And Marking Of Unmanned Aircraft.—The rules adopted by the Administrator of the Federal Aviation Administration in the matter of registration and marking requirements for small unmanned aircraft (FAA-2015-7396; published on December 16, 2015) that were vacated by the United States Court of Appeals for the District of Columbia Circuit in Taylor v. Huerta (No. 15-1495; decided on May 19, 2017) shall be restored to effect on the date of enactment of this Act.” The registration rules are currently back in force. Since the regulations that were struck down were restored by Congress, I’m putting a strike through below on all the text since it should NOT be relied upon. It still contains important legal and historical pieces of information. 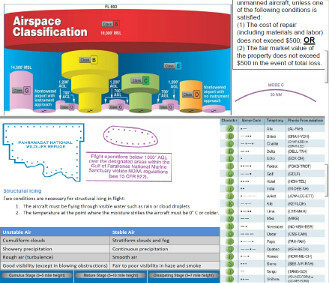 The FAA created a giant list of approved aircraft. The FAA became tired of granting 333 exemption amendment requests to add aircraft. To solve this once and for all, the FAA approved the exemption holder for whatever was on the list. The FAA just kept updating the list over time and this met the needs of many; however, if you were granted an exemption prior to around May 2015, you most likely did not have the “super list” provision in your 333 exemption. The super list is specifically listed in docket FAA-2007-3330. Keep checking it as it is continually being updated to add on new aircraft. You should print it out and keep it with you as part of your operating documents. Make sure your aircraft is located on it! Great job on doing this FAA! This will help promote safety and a culture of professionalism in the drone industry. I always made it a point to tell my flight students working on their private pilot certificates that their certificate was only a certificate allowing them to legally go out and accidentally kill themselves. It was really a license to learn, not to get cocky and start playing “Highway to the Danger Zone.” I instilled in them the need for safety. Additionally, flight instructors are role models for their students and we all know the drone community needs more pros, and less bros.
For a long time, only Kansas State had a 333 exemption that allowed flight instructing. The FAA has subsequently granted some 333 exemptions; however, all the older exemptions would have to petition for amendment to do instruction. Why would this be beneficial? One example I know of is a large company that has protocols figured out and implemented for 333 exemption operations while they haven’t figured out how to operate under Part 107. Large battleships turn slowly. Another example is where a company has certain COA approvals for controlled airspace they obtained a long time ago. They would rather operate under those COAs than risk trying to obtain a newer airspace authorization. I can understand that. The FAA has been slow at things in the past; however, the FAA does seem to be making great strides in getting the airspace authorizations and waivers approved faster. The most recently granted night waivers were around 30 days from start to finish. One was super-fast at 13 days later; however, there are a few that are past 30 days waiting for the FAA. The one thing that is consistent is the different processors in the waiver and authorizations departments work at different paces. The older 333 exemptions did not have a provision to allow the operation of foreign civil aircraft which is “(a) an aircraft of foreign registry that is not part of the armed forces of a foreign nation, or (b) a U.S.-registered aircraft owned, controlled or operated by persons who are not citizens or permanent residents of the United States.” See 14 CFR § 375.1 (emphasis mine). Now you can obtain a Foreign Aircraft Permit to allow a foreigner to operate under the 333. Unfortunately, you still must have a sport certificate or higher. A 107 Remote Pilot Certificate or student certificate will NOT work. One thing you might want to consider is if you do have a sport license or higher, doing work in the 333 exemption only aircraft area because that area will have less competition. 55 pound and heavier operations cannot be done under Part 107 but can be done by a 333 exemption. It may be a smart business idea to start focusing on offering 55 pound and heavier services, such as when you need to use a 55 pound+ crop duster, a heavy rig drone for cinematography, etc. for the service. You might be able to command higher profit margins since there are few legal alternative options for clients. The exemption says, “This exemption terminates on the date provided in the petitioner’s original exemption or amendment most recently granted prior to the date of this amendment, unless sooner superseded or rescinded.” Big bummer. If you are interested in hiring me to renew your older 333, contact me. Please keep in mind that I picked the latest stock 333 for comparison. The exemptions have morphed over the years so your 333 might differ from what is listed as a “stock 333.” Keep in mind that some of the provisions are the same but the number just changed. Underlining and bold means something is new while bold and strikethrough means it was deleted. Same 1. The operator is authorized by this grant of exemption to use any aircraft identified on the List of Approved Unmanned Aircraft Systems (UAS) under Section 333 at regulatory docket FAA–2007–3330 at www.regulations.gov, when weighing less than 55 pounds including payload. Proposed operations of any aircraft not on the list currently posted to the above docket will require a new petition or a petition to amend this exemption. Same 2. If operations under this exemption involve the use of foreign civil aircraft the operator would need to obtain a Foreign Aircraft Permit pursuant to 14 CFR § 375.41 before conducting any commercial air operations under this authority. Application instructions are specified in 14 CFR §375.43. Applications should be submitted by electronic mail to the DOT Office of International Aviation, Foreign Air Carrier Licensing Division. Additional information can be obtained via https://cms.dot.gov/policy/aviation-policy/licensing/foreign-carriers. 6. The UA may not be operated at a speed exceeding 87 knots (100 miles per hour). The exemption holder may use either groundspeed or calibrated airspeed to determine compliance with the 87 knot speed restriction. In no case will the UA be operated at airspeeds greater than the maximum UA operating airspeed recommended by the aircraft manufacturer. 3. The UA may not be operated at a speed exceeding 87 knots (100 miles per hour). The operator may use either groundspeed or calibrated airspeed to determine compliance with the 87 knot speed restriction. In no case will the UA be operated at airspeeds greater than the maximum UA operating airspeed recommended by the aircraft manufacturer. 7. The UA must be operated at an altitude of no more than 400 feet above ground level (AGL). Altitude must be reported in feet AGL. 4. The UA must be operated at an altitude of no more than 400 feet above ground level (AGL). Altitude must be reported in feet AGL. This limitation is in addition to any altitude restrictions that may be included in the applicable COA. 23. Air Traffic Organization (ATO) Certificate of Waiver or Authorization (COA). All operations shall be conducted in accordance with an ATO-issued COA. The exemption holder may apply for a new or amended COA if it intends to conduct operations that cannot be conducted under the terms of the enclosed COA. 5. Air Traffic Organization (ATO) Certificate of Waiver or Authorization (COA). All operations must be conducted in accordance with an ATO-issued COA. The exemption holder must apply for a new or amended COA if it intends to conduct operations that cannot be conducted under the terms of the enclosed COA. 8. The UA must be operated within visual line of sight (VLOS) of the PIC at all times. This requires the PIC to be able to use human vision unaided by any device other than corrective lenses, as specified on the PIC’s FAA-issued airman medical certificate or U.S. driver’s license. 6. The Pilot in Command (PIC) must have the capability to maintain visual line of sight (VLOS) at all times. This requires the PIC to be able to use human vision unaided by any device other than corrective lenses, as specified on that individual’s FAA-issued airman medical certificate or valid U.S. driver’s license issued by a state, the District of Columbia, Puerto Rico, a territory, a possession, or the Federal Government, to see the UA. 9. All operations must utilize a VO. The UA must be operated within the VLOS of the PIC and VO at all times. The VO may be used to satisfy the VLOS requirement as long as the PIC always maintains VLOS capability. The VO and PIC must be able to communicate verbally at all times; electronic messaging or texting is not permitted during flight operations. The PIC must be designated before the flight and cannot transfer his or her designation for the duration of the flight. The PIC must ensure that the VO can perform the duties required of the VO. 7. All operations must utilize a visual observer (VO). The UA must be operated within the visual line of sight (VLOS) of the VO at all times. The VO must use human vision unaided by any device other than corrective lenses to see the UA. The VO, the person manipulating the flight controls of the small UAS, and the PIC must be able to communicate verbally at all times. Electronic messaging or texting is not permitted during flight operations. The PIC must be designated before the flight and cannot transfer his or her designation for the duration of the flight. The PIC must ensure that the VO can perform the duties required of the VO. Students receiving instruction or observing an operation as part of their instruction may not serve as visual observers. 10. This exemption, the List of Approved Unmanned Aerial Systems (UAS) under Section 333 at regulatory docket FAA–2007–3330 at www.regulations.gov, and all documents needed to operate the UAS and conduct its operations in accordance with the conditions and limitations stated in this grant of exemption, are hereinafter referred to as the operating documents. The operating documents must be accessible during UAS operations and made available to the Administrator upon request. If a discrepancy exists between the conditions and limitations in this exemption and the procedures outlined in the operating documents, the conditions and limitations herein take precedence and must be followed. Otherwise, the operator must follow the procedures as outlined in its operating documents. The operator may update or revise its operating documents. It is the operator’s responsibility to track such revisions and present updated and revised documents to the Administrator or any law enforcement official upon request. The operator must also present updated and revised documents if it petitions for extension or amendment to this grant of exemption. If the operator determines that any update or revision would affect the basis upon which the FAA granted this exemption, then the operator must petition for an amendment to its grant of exemption. The FAA’s UAS Integration Office may be contacted if questions arise regarding updates or revisions to the operating documents 8. This exemption, the List of Approved Unmanned Aircraft Systems (UAS) under Section 333 at regulatory docket FAA-2007-3330 at www.regulations.gov, all previous grant(s) of exemption, and all documents needed to operate the UAS and conduct its operations in accordance with the Conditions and Limitations stated in this exemption, are hereinafter referred to as the operating documents. The operating documents must be accessible during UAS operations and made available to the Administrator upon request. If a discrepancy exists between the Conditions and Limitations in this exemption, the applicable ATO-issued COA, and the procedures outlined in the operating documents, the most restrictive conditions, limitations, or procedures apply and must be followed. The operator may update or revise its operating documents as necessary. The operator is responsible for tracking revisions and presenting updated and revised documents to the Administrator or any law enforcement official upon request. The operator must also present updated and revised documents if it petitions for extension or amendment to this exemption. If the operator determines that any update or revision would affect the basis upon which the FAA granted this exemption, then the operator must petition for an amendment to its exemption. The FAA’s UAS Integration Office may be contacted if questions arise regarding updates or revisions to the operating documents. 11. Any UAS that has undergone maintenance or alterations that affect the UAS operation or flight characteristics, e.g., replacement of a flight critical component, must undergo a functional test flight prior to conducting further operations under this exemption. Functional test flights may only be conducted by a PIC with a VO and must remain at least 500 feet from other people. The functional test flight must be conducted in such a manner so as to not pose an undue hazard to persons and property. 9. Any UAS that has undergone maintenance or alterations that affect the UAS operation or flight characteristics, e.g. replacement of a flight critical component, must undergo a functional test flight prior to conducting further operations under this exemption. Functional test flights may only be conducted by a PIC with a VO and essential flight personnel only and must remain at least 500 feet from all other people. The functional test flight must be conducted in such a manner so as to not pose an undue hazard to persons and property. 10. The operator is responsible for maintaining and inspecting the UAS to ensure that it is in a condition for safe operation. Same 11. Prior to each flight, the PIC must conduct a pre-flight inspection and determine the UAS is in a condition for safe flight. The pre-flight inspection must account for all potential discrepancies, e.g. inoperable components, items, or equipment. If the inspection reveals a condition that affects the safe operation of the UAS, the aircraft is prohibited from operating until the necessary maintenance has been performed and the UAS is found to be in a condition for safe flight. 3. PIC certification: Under this exemption, a PIC must hold either an airline transport, commercial, private, recreational, or sport pilot certificate. The PIC must also hold a current FAA airman medical certificate or a valid U.S. driver’s license issued by a state, the District of Columbia, Puerto Rico, a territory, a possession, or the Federal Government. The PIC must also meet the flight review requirements specified in 14 CFR § 61.56 in an aircraft in which the PIC is rated on his or her pilot certificate. 13. PIC certification: Under this grant of exemption, a PIC must hold either an airline transport, commercial, private, recreational, or sport pilot certificate. The PIC must also hold a current FAA airman medical certificate or a valid U.S. driver’s license issued by a state, the District of Columbia, Puerto Rico, a territory, a possession, or the Federal government. The PIC must also meet the flight review requirements specified in 14 CFR § 61.56 in an aircraft in which the PIC is rated on his or her pilot certificate. 4. PIC qualifications: The PIC must demonstrate the ability to safely operate the UAS in a manner consistent with how it will be operated under this exemption, including evasive and emergency maneuvers and maintaining appropriate distances from persons, vessels, vehicles, and structures before operating non-training, proficiency, or experience-building flights under this exemption. PIC qualification flight hours and currency may be logged in a manner consistent with 14 CFR § 61.51(b), however UAS pilots must not log this time in the same columns or categories as time accrued during manned flight. UAS flight time must not be recorded as part of total time. 14. PIC qualifications: The PIC must demonstrate the ability to safely operate the UAS in a manner consistent with how it will be operated under this exemption, including evasive and emergency maneuvers and maintaining appropriate distances from persons, vessels, vehicles, and structures before conducting student training operations. Flights for the pilot’s own training, proficiency, or experience-building under this exemption may be conducted under this exemption. PIC qualification flight hours and currency may be logged in a manner consistent with 14 CFR § 61.51(b), however, UAS pilots must not log this time in the same columns or categories as time accrued during manned flight. UAS flight time must not be recorded as part of total time. 15. Training: The operator may conduct training operations when the trainer/instructor is qualified as a PIC under this exemption and designated as PIC for the entire duration of the flight operation. Students/trainees are considered direct participants in the flight operation when manipulating the flight controls of a small UAS and are not required to hold any airman certificate. The student/trainees may be the manipulators of the controls; however, the PIC must directly supervise their conduct and the PIC must also have sufficient override capability to immediately take direct control of the small UAS and safely abort the operation if necessary, including taking any action necessary to ensure safety of other aircraft as well as persons and property on the ground in the event of unsafe maneuvers and/or emergencies for example landing in an empty area away from people and property. 16. Under all situations, the PIC is responsible for the safety of the operation. The PIC is also responsible for meeting all applicable Conditions and Limitations as prescribed in this exemption and ATO-issued COA, and operating in accordance with the operating documents. All training operations must be conducted during dedicated training sessions and may or may not be for compensation or hire. The operation must be conducted with a dedicated VO who has no collateral duties and is not the PIC during the flight. The VO must maintain visual sight of the aircraft at all times during flight operations without distraction in accordance with the Conditions and Limitations below. Furthermore, the PIC must operate the UA not closer than 500 feet to any nonparticipating person without exception. Same 17. UAS operations may not be conducted during night, as defined in 14 CFR § 1.1. All operations must be conducted under visual meteorological conditions (VMC). Flights under special visual flight rules (SVFR) are not authorized. Same 18. The UA may not be operated less than 500 feet below or less than 2,000 feet horizontally from a cloud or when visibility is less than 3 statute miles from the PIC. Same 19. For tethered UAS operations, the tether line must have colored pennants or streamers attached at not more than 50 foot intervals beginning at 150 feet above the surface of the earth and visible from at least 1 mile. This requirement for pennants or streamers is not applicable when operating exclusively below the top of and within 250 feet of any structure, so long as the UA operation does not obscure the lighting of the structure. must immediately recover/land the UA upon loss of GPS signal. Same 21. If the PIC loses command or control link with the UA, the UA must follow a predetermined route to either reestablish link or immediately recover or land. 22. The PIC must abort the flight operation if circumstances or emergencies that could potentially degrade the safety of persons or property arise. The PIC must terminate flight operations without causing undue hazard to persons or property in the air or on the ground. 22. The PIC must abort the flight operation if unpredicted circumstances or emergencies that could potentially degrade the safety of persons or property arise. The PIC must terminate flight operations without causing undue hazard to persons or property in the air or on the ground. Same 23. The PIC is prohibited from beginning a flight unless (considering wind and forecast weather conditions) there is enough available power for the UA to conduct the intended operation and to operate after that for at least five minutes or with the reserve power recommended by the manufacturer if greater. 24. All aircraft operated in accordance with this exemption must be registered in accordance with 14 CFR part 47 or 48, and have identification markings in accordance with 14 CFR part 45, Subpart C or part 48. For applicability and implementation dates of part 48 see 80 FR 78594 (Dec. 16, 2015). 24. All aircraft operated in accordance with this exemption must be registered in accordance with 14 CFR part 47 or 48, and have identification markings in accordance with 14 CFR part 45, Subpart C or part 48. Same 25. Documents used by the operator to ensure the safe operation and flight of the UAS and any documents required under 14 CFR §§ 91.9 and 91.203 must be available to the PIC at the Ground Control Station of the UAS any time the aircraft is operating. These documents must be made available to the Administrator or any law enforcement official upon request. 26. The UA must remain clear and give way to all manned aviation operations and activities at all times. 26. The UA must remain clear of and give way to all manned aircraft at all times. 27. The UAS may not be operated by the PIC from any moving device or vehicle. 27. The UAS may not be operated by the PIC from any moving device or vehicle. a. Over or near people directly participating in the operation of the UAS. People directly participating in the operation of the UAS include the PIC, VO, and other consenting personnel that are directly participating in the safe operation of the UA. b. Near but not over people directly participating in the intended purpose of the UAS operation. People directly participating in the intended purpose of the UAS must be briefed on the potential risks and acknowledge and consent to those risks. Operators must notify the local Flight Standards District Office (FSDO) with a plan of activities at least 72 hours prior to flight operations. Same 29. All operations shall be conducted over private or controlled-access property with permission from a person with legal authority to grant access. Permission will be obtained for each flight to be conducted. 30. Any incident, accident, or flight operation that transgresses the lateral or vertical boundaries of the operational area as defined by the applicable COA must be reported to the FAA’s UAS Integration Office within 24 hours. Accidents and incidents must be reported to the National Transportation Safety Board (NTSB) in accordance with 49 CFR § 830.5 per instructions contained on the NTSB Web site: www.ntsb.gov. 30. Any incident, accident, or flight operation that transgresses the lateral or vertical boundaries of the operational area as defined by the applicable COA must be reported to the FAA’s UAS Integration Office within 24 hours. Accidents must be reported to the National Transportation Safety Board (NTSB) in accordance with its UAS accident reporting requirements. a. Operator name, address, and telephone number. e. Permission to Operate. The operations manual shall specify requirements and procedures that the operator will use to obtain permission to operate over property or near vessels, vehicles, and structures in accordance with this exemption. h. Personnel directly participating in the safe operation of the UAS Minimum Requirements. In accordance with this exemption, the operator must specify the minimum requirements for all flight personnel in the operating manual. The PIC at a minimum will be required to meet the certification standards specified in this exemption. 32. At least 72 hours prior to operations, the operator must submit a written Plan of Activities to the local FSDO having jurisdiction over the proposed operating area. a. Dates and times for all flights. For seasonal or long-term operations, this can include the beginning and end dates of the timeframe, the approximate frequency (e.g., daily, every weekend), and what times of the day operations will occur. A new plan of activities must be submitted prior to each season or period of operations. c. Make, model, and serial or N-Number of each UAS to be used. d. Name and certificate number of each UAS PIC involved in the operations. How do I check my docket to see if I have this FAA Section 333 exemption amendment? Find one of the pieces of paperwork you filed. Click the Open Docket Folder at the top left. Click it and print out the PDF to keep with you as part of your operating documents. This will help some of the older 333 exemptions holders be more flexible in their operations. Please take the time to carefully read the restrictions as they apply to you. If you need help understanding the provision, you need to renew your older 333, or you want a Part 107 waiver or authorization, contact me. Interested in flying under Part 107 instead of the Section 333 Exemption? Check out these resources! Q & A about Section 333, Part 107, and Drone Law. I was recently interviewed by Jeremiah from Commercial UAV News. The title of the article is Your FAA Regulation Questions Answered: Part 107, Section 333 and the Future of Drone Law. I would highly suggest everyone take the time to read over this Q & A article. As always, if you need legal help, don’t hire a poser, hire a lawyer who is a pilot. There are other changes but I wanted to give everyone a quick update on these three points since these are immediately applicable. If you already have a 333 and are interested in trying to get your exemption quickly amended for this “Blanket” aircraft amendment or do the Part 47 paper-based registration, please don’t hesitate to reach out to contact me. Participating individuals, non-participating individuals, and the 500ft bubble. This area is causing all sorts of confusion for individuals. How close can you get to people? When can I get within 500ft of a person? Can I fly at a concert or football game? Can I fly over people? Here is a quote from the exemption from one of my closed-set 333 clients. The exemption does not indicate if this is a slant angle 500ft bubble or a 500ft ground circle. Functionally, there isn’t much of a difference here. If you look at the graph I created, at 200 ft (the max height for a blanket COA), the closest ground distance would be 458.3 ft. There is a 41.7 foot difference in interpretation. The two different interpretations only start mattering once you can start operating above the blanket COA. The 500ft bubble is a pretty big bubble. Here is a graph of a 500ft slant angle bubble. Mere aerial data collection operations do NOT have these conditions. Closed-set acts like an “upgraded” version of aerial data collection. So then who is a participating individual? The FAA defines Participating Person/Authorized Person as, “All persons associated with the filming production must be briefed on the potential risk of the proposed flight operation(s) and they must acknowledge and accept those risks. Nonparticipating persons are the public, spectators, media, etc., not associated with the filming production.” (Emphasis mine). The only way you are going to get within 500ft is if the people are participating people, you are cleared for closed-set operations, and you are abiding by your motion picture manual.